Years before the premiere of her feature debut, “The Mustang,” director Laure de Clermont-Tonnerre found a subject so complex, she studied it for years. 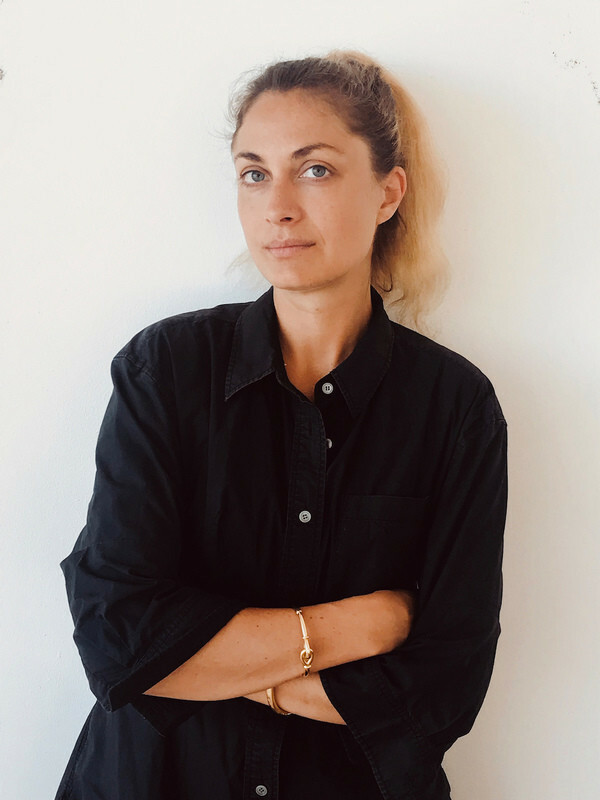 She became intrigued by the rehabilitating powers of animal therapy in prison, which lead to her first short, “Rabbit.” The basis for her early project set the stage for “The Mustang,” which follows a violent and antisocial prisoner, Roman Coleman (Matthias Schoenaerts), as he begins his healing process with the help of a horse training program. “The Mustang” cast also includes Bruce Dern, Jason Mitchell and Connie Britton, but it’s Schoenaerts’ intuitive performance with his four-legged co-star that leave the biggest impression. RogerEbert.com spoke with Laure de Clermont-Tonnerre at Sundance ahead of the premiere of her first feature about her movie’s subject, filming an active prison and what has she learned in researching the U.S. prison system. This is a bit of a homecoming Sundance for you. What was your previous experience like? I went to the labs with “The Mustang,” so the project was born here. It was the best gift to have this premiere back at home. My short film, “Rabbit,” talks about the same subject. It was about a rabbit and a female prisoner. I explored this theme of animal therapy in prison about 5 years ago. I found out about this [animal therapy] program in Nevada. So, I wrote the first draft with my co-writer, and we were selected to send in the story for the Sundance labs for like 6 months. I was doing screenwriting and directing lab. I did all the labs after that. It allowed me to do my research on prisons as well. It was a nice moment for me to be surrounded and supported by experienced advisors at Sundance and also be able to hit the story with authentic details and elements in Nevada and California prisons. What was the research process like? Did you go into prisons, observe the programs and talk to prisoners? The first time, I met this therapist who was a prison consultant. She was the head of the health department in prison in California, and she also a horse owner so she became a good friend. We started our research together in 2014. She got me access to San Quintin prison because she said she thought I needed to understand violence and anger and meet the men who had huge anger issues. Also, I went into this prison in Nevada where the program started years ago, and I could observe all the different steps between the connection between horse and man. From day one to the auction when they had to say goodbye to the horse, which was very emotional. I could see the realness of this man being completely humbled by the horse after being scared and all those different emotions that seem like being packed. It is a lot of body language. There are no words, there's no judgment. It is just two creatures trying to figure out a way to get along, to build eventual trust and respect. It was beautiful to witness. I spent a lot of time there. Matthias, I think in a very personal way, was very involved in his character's story. It was a gift because he came with me to prison. He wanted to absorb and listen and absorb as much as possible and through this process, we got really good friends. We trusted each other to really go through this adventure. And yes, he is a wonderful partner and a wonderful collaborator. The character Matthias plays is so inaccessible and prickly. He's difficult to empathize with. How did you develop the character of Roman? I met a lot of men who were very closed off and needed a why to unfold themselves. I felt I needed to see, I wanted to see a man in this numbness. How the drops by drops, he would unfold himself with the animal, be able to express his crime, to be forgiven, to ask for forgiveness and to liberate himself from his physiological prison. In order to go through this heart, I needed to study this darkness, this darkness of antisocial behavior. That is where it felt it was most impactful to unfold. Obviously, I needed to depart from that place. It was very important for me. It was urgent to follow this tragic story as the character is discovering it. I didn't want the audience to be behind or ahead of the character's understanding. I needed them to be in sync with them. This is also challenging the audience's empathy after following this tragic terrain. Then you discover his crime at the end. It is like, “Oh I kind of like this person. What do I do with them? Do I give a second chance?” That was exactly the position I was when I was in prison and I was meeting those really charming and smart men. After a while, they were like yeah, I killed my wife. I'm here sitting with them, and I actually get along with them. I have no judgment. I know now that I have all the information. What do I do with that? This is exactly what I wanted the audience to experience. Do I give a second chance? Do I don't give a second chance? I think it is very interesting to kind of think about it. Personally, every man deserves respect, whatever he did, whatever the past was. You give what you get. And at some point, if you take the time to reflect on yourself, in those program, helping those men to resurrect. The cinematography of “The Mustang” is really quite impressive. What were you thinking of when you were coming up with the film’s visual style? I needed to have very light equipment in order to go move beside the horse. It was very important to have a cinematographer who had a very immersive camera that could really adapt and follow the dancing with the horse and Matthias. It was a choreography between the horse, the horse trainer, the camera — Ruben Impens, the amazing cinematographer, and Matthias. And that was actually very important for me in the choice of the cinematographer. Ruben was this person, I knew that he felt, that he was enveloped emotionally by the story. He actually was capturing a handout of virility inside this connection. We had 2 cameras. We needed to make sure that we could grab as much as possible in this very tight schedule that we had. I needed to have much more static, rich moment inside the prison versus the wideness, loose camera following the movement of the men. I think this goes like the agility of the inside and outside. It gives this kind of roughness, vertigo even. This is what I really needed to build the dimensions of these two worlds, were kind of like overlaid into each other. I’m also really intrigued by the use of color in “The Mustang” as well. It’s desaturated, almost dusty looking in a western kind of way. The choice of the location was very important. It was were I started my research. Usually, the contrast was very strong. Those Rocky Mountains changed the light. A lot of changing colors and this business was nested in this Rocky Mountains. So to have the position of the barb wires behind this explosive nature was very important. And also the dust was there. It was the quality of the air, the dryness of the deserted mountains. We didn't add more, we had so much dust. We couldn't breathe at the end of the day. We were like swallowing sand and dust all the time. Especially around the horses. The orange, the blue, there was something composed. I wanted to highlight this scale of different. I loved those colors into the landscape. The landscape was more exaggerated but you had the fluid orange. In prison, this is like a code of color. They all have the same color. Even though they have the same outfit, they want to be different. They want to have something to make them different. So maybe it's a haircut, or it's glasses, or it's bandana or it's just something that makes them not part of a union. You also recreate the western motif when they're riding. There’s even one scene where they are all riding in a line like “The Magnificent Seven.” Were you thinking about those moments when you were setting up the shots? Obviously, I thought about it. I wanted to have this moment of freedom. This moment of surreal freedom. You had to get the horses used to nature, trailing and to ride them outside of the prison. So when I heard of that, I was like oh wow, that gives an amazing opportunity to have this big space to get out of the prison. Even though it's kind of cruel because you still have the “Department of Correction” on your back, to remind them that you are still a prisoner. But you have this amazing freedom of learning and riding your horse. When we go back to the prison we were very meditative, poetic, almost religious moment. Did you film the movie in an active prison? Both, an active one and an abandoned prison. The abandoned one was really close to the active one so there are some shots that come from the active one—a few of them because I was not allowed to shoot because of the inmates. Then we went to the abandoned one, and we created all the pens and the farm. It was shut down 10 years ago. So you can still feel like the walls are very alive. We had four inmates who were acting the film and those one of them were incarcerated in this prison. We also had guards in the prison that were actually extras in the films. We had all these people that had a past—a very strong past in this location. In doing so much research in the prison industry, what is your overall feeling about the way the American system works. We know that it's a must incarcerated country in the world. Incarceration is out of control, and they need to have to keep those inmates busy and they have to come up with programs. I think they need to explore more of the sentences are so long, if they keep them forever, they will be crazy and riot. The worst country in the world for prison found out the most beautiful programs for the inmates. In Europe, you have some programs, but you don't have the animal program. It's not popular as in America. In Europe, because the sentences are shorter, they have therapy, they have verbal therapy but they don't have as much as the inmates in the U.S. It's still a huge issue. I've been in a lot of prisons here, and it is unbelievable. It is so much loss. It's like stealing $40 and losing your life of freedom. Things are disproportionate. Going through these depths of field, I hope this [movie] brings an inquisitive message and raises awareness. A lot of those men shouldn't be in prison right now. A lot of them are redeemed, let them work on themselves. Whatever they did in the past shouldn't crystallize them forever. They can have hope, they can have a future. Most of them did their mistake when they were 16 or 17 or 18 years old. There is a lot to think about. I hope that prison can try to help the men instead of beat them up. Educate them, rather than incarcerate them. This is what I feel should be a response of the justice system. Why would you punish just to punish? What's the sense of punishment?